The latest winner of the Ampersand Prize is a genre-smashing hostage drama about 14-year-old Tamara, who's faced with an impossible choice when she falls for her kidnappers.Yet this is no ordinary kidnapping. Tamara has been living on a star freighter in deep space, and her kidna... read full description below. The latest winner of the Ampersand Prize is a genre-smashing hostage drama about 14-year-old Tamara, who's faced with an impossible choice when she falls for her kidnappers. Yet this is no ordinary kidnapping. Tamara has been living on a star freighter in deep space, and her kidnappers are terrifying Crowpeople - the only aliens humanity has ever encountered. No-one has ever survived a Crowpeople attack, until now - and Tamara must use everything she has just to stay alive. But survival always comes at a price, and there's no handbook for this hostage crisis. As Tamara comes to know the Crowpeople's way of life, and the threats they face from humanity's exploration into deep space, she realises she has an impossible choice to make. Should she stay as the only human among the Crows, knowing she'll never see her family again ...or inevitably betray her new community if she wants to escape? This ground-breaking thriller is the latest young-adult novel to win the Ampersand Prize, a stand-out entry with a blindingly original voice: raw, strange and deeply sympathetic. With its vivid and immersive world-building, this electrifying debut is The Knife of Never Letting Go meets Homeland, for the next generation of sci-fi readers. 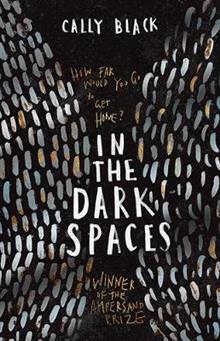 Cally Black's first young adult novel won the Ampersand Prize. It wasn't the first novel she'd written, and it wasn't the first draft that made it through to the printers. She's been working on writing for a long time. Cally Black's universe is filled with stories from her childhood on hill country sheep stations to youthful backpacking adventures to more recent motorbike rides across the USA, but it's stories set in future worlds that fascinate her most. And while she loves science and technology and the way they shape our future, what really grabs her attention is the people, especially those left on the fringes of society. Cally works in education and lives in Melbourne with her family and a slightly nutty dog.